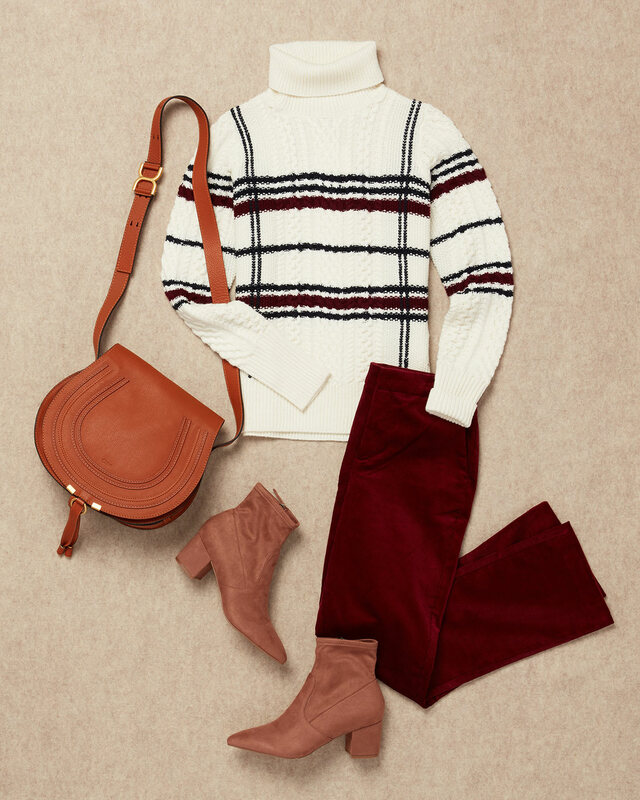 Whether you’re hosting Thanksgiving dinner for the first time and want to make a statement, or you’re looking for something cute to wear to your cozy family gathering, the perfect holiday look always blends comfort and style. (We all want to indulge in that extra slice of pie, after all.) 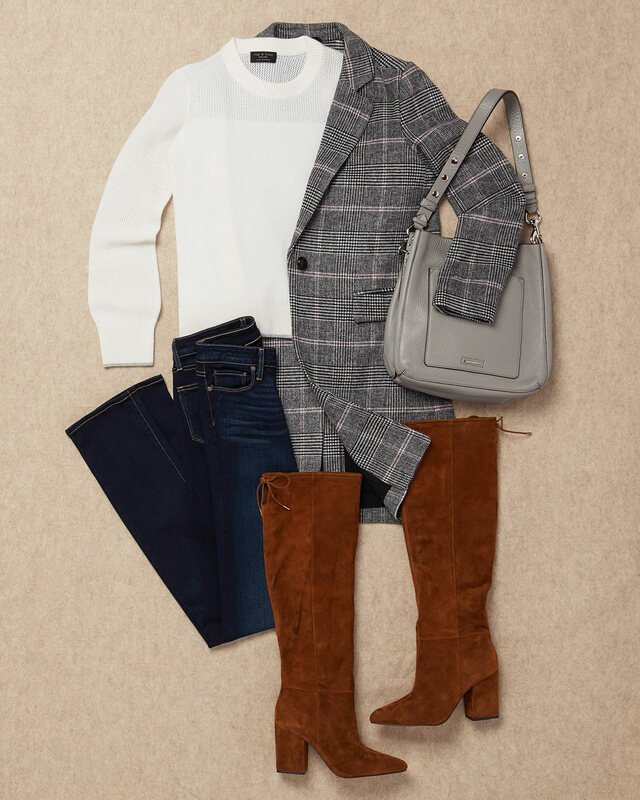 Keep reading as our stylist, Jeanne, shares her top picks for casual and dressy Thanksgiving dinner outfits. If you’re a jeans kind of gal, this look is for you. Here, Jeanne shows us how to play up our favorite pair of denim with just a sweater and boots. A cozy knit with unique details, such as puffy sleeves or an unusual texture, is a step up from an everyday sweater. It feels special and appropriate for the occasion. Then, opt for a pair of knee-highs to round out the outfit with a bit of edge. If your Thanksgiving celebrations tend to be traditional, allow us to suggest three items that create an undeniably chic ensemble. 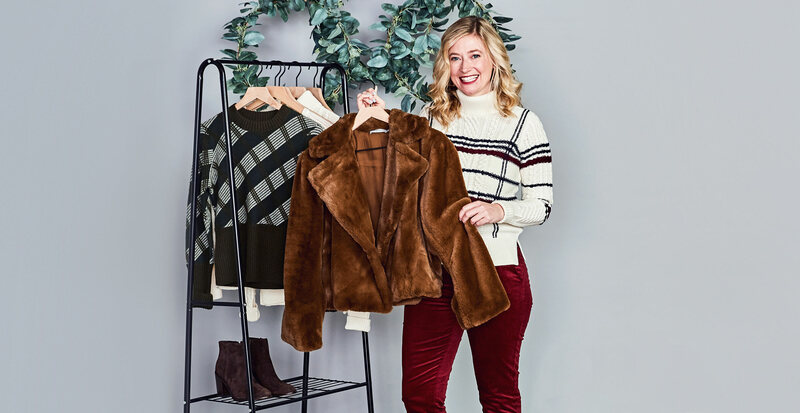 “Begin with a festive sweater—you’ll want something flattering without being too constricting,” Jeanne says. Style it with a pair of stacked-heel booties to create the illusion of longer legs, and complete the look with a matching faux fur coat. “Dressing for comfort doesn’t mean you have to compromise on style,” Jeanne says. Use seasonal textures in rich colors to update your go-tos. 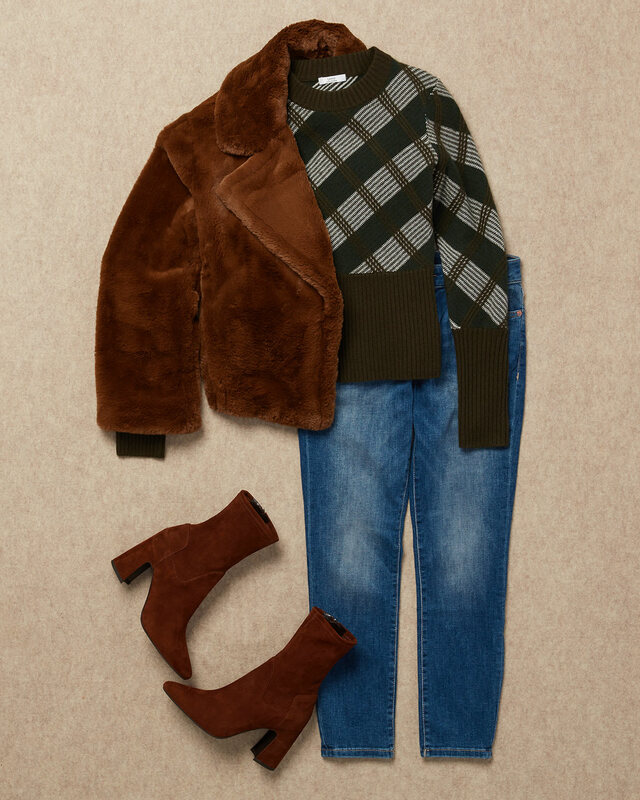 As shown here, this combination of velveteen and suede feels luxe. And when contrasted with an oversized knit sweater, you’ve got a festive look fit for any holiday gathering.